Kunlé Adeyemi is an architect, designer and urban researcher. He is the founder/principal of NLÉ and 2017 Aga Khan Design Critic in Architecture at Harvard University Graduate School of Design. His notable works include ‘Makoko Floating School’, an innovative prototype floating structure located on the lagoon heart of Lagos, Nigeria. This acclaimed project is part of an extensive research project – ‘African Water Cities’ – being developed by NLÉ an architecture, design and urbanism practice founded by Adeyemi in 2010, focusing on developing cities and communities. NLÉ recently launched MFS II – a new, improved iteration of Makoko Floating School at the 15th International Architecture Exhibition – La Biennale di Venezia, for which it was awarded the Silver Lion Prize. Other projects include Chicoco Radio Media Center – an amphibious community building in Port Harcourt, Nigeria, ROCK – Lakefront Kiosk in Chicago, USA, CDL Head Office in Lagos, Nigeria and Serpentine Summer House at the Royal Kensington Gardens in London, UK. Before founding NLÉ, Adeyemi worked for OMA, where he led the design, development and execution of high profile projects such as the Shenzhen Stock Exchange tower in China, the Qatar Foundation Headquarters, Qatar National Library, and Prada Transformer in Seoul. Alongside his professional practice Adeyemi is an international speaker and thought leader serving as jurors for the 2014 AIA award and 2016 RIBA international Prize. He is a multiple award winner, and holds an honorary doctorate degree in Architecture from Hasselt University, Belgium. He has taught at Cornell University and was an Adjunct Associate Professor at the Graduate School of Architecture, Planning and Preservation, Columbia University, New York, researching architecture and urban solutions that are closer to societal, environmental and economic needs. Kunlé Adeyemi is 2017 Aga Khan Design Critic in Architecture at Harvard University Graduate School of Design. Previously he was an Adjunct Associate Professor at Columbia Graduate School of Architecture, Planning and Preservation, 2015 Gensler Visiting Critic and 2014 Baird Distinguished Visiting Critic of Cornell University in Ithaca, New York, teaching and researching the program ‘Water & The City’. In 2011 to 2012, he was the Callison Distinguished Visiting Lecturer of the University of Washington, teaching and researching ‘The Modern City in the Age of Globalization’ in Chandigarh – India’s first planned modern city. His main area of academic interest is in developing cities of the global south. He has pursued and developed this issue via a number of research papers and study opportunities. They include a post-professional degree from Princeton University in the US, where with Peter Eisenman he investigated rapid urbanization and the role of market economies in developing cities of the global South, focusing on Lagos. His hypothesis ‘Urban Crawl’ published in the Log Journal, is a critical exposé on architecture and urbanism in emerging megacities of the global south, which also unravels the complex urban conditions and operative mechanisms of such cities. His knowledge and opinions in this area are much sought after. Consequently, he has acted as a speaker and visiting critic at prestigious institutions such as the Guggenheim New York, Harvard University, MIT, the Cooper Union, the School of Oriental and African Studies, the Architectural Association in London, ETH in Zurich, Chandigarh College of Architecture in India and Delft Technical University in the Netherlands. All of Kunlé Adeyemi’s experience, knowledge and background underpin his new architectural, creative design, and urbanism practice for Africa, developing regions and complex urban/rural environments globally. The overarching aim of the practice is to bridge critical gaps in infrastructure and urban development by creating coherent networks and global exchanges that work for people. The scope of the practice is not limited to architecture. He has also designed furniture, among many other things, and explores all social and cultural possibilities that contribute to urbanism. Adeyemi was one of 5 members of the International Advisory Council for the World Design Capital 2014 being hosted by Cape Town, South Africa. This International design event is an opportunity to identify, nurture and promote projects that offer tangible evidence of how design can improve lives, within the uniquely South African and African context. 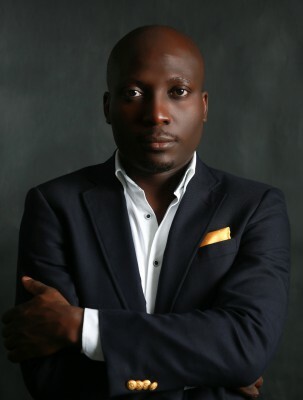 In 2010, Adeyemi was the creative director for Lagos Photo – Nigeria’s first contemporary public photography exhibition with the African Artist’s Foundation. Lagos Photo is an urban intervention aimed to inspire and enlighten people about Lagos and other African cities, through photography in public spaces. His article ‘The Architecture of Photography’ was published in the Lagos Photo 2010 catalogue. Fundamental to his vision for developing cities is the proposed 4th Mainland Bridge & Master Plan in Lagos state – with OMA for Missing Link Motorway Development Company. A project, which has the potential to positively transform daily life for millions of people in one of the world’s most populous and challenging cities.